A man was killed and a firefighter was injured in a house fire Sunday morning in Indianapolis. 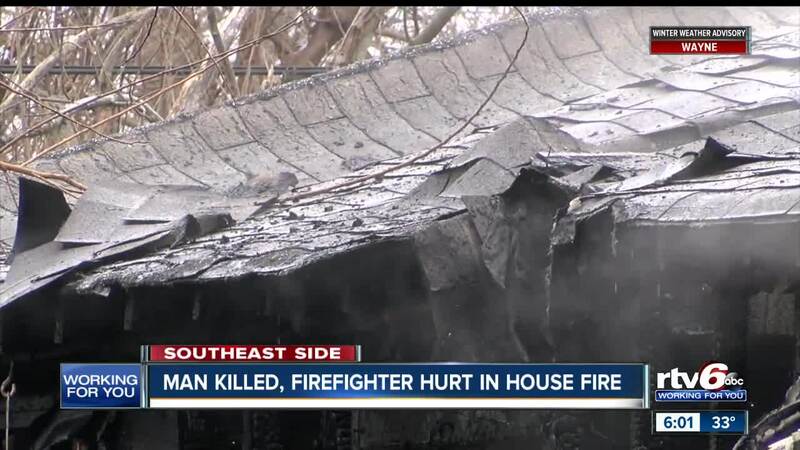 INDIANAPOLIS — A man was killed and a firefighter were injured in a house fire Sunday morning on the southeast side of Indianapolis. After responding to a house fire around 8:30 a.m. in the 3500 block of Apple Street, Indianapolis Fire Department firefighters found an injured man, who was later transported to the hospital in serious condition, according to the Indianapolis Fire Department. The man later died. A firefighter was injured after falling through a floor of the house and was taken to the Eskenazi Hospital in "good" condition. At this time, the identities of those injured have not been released. The damage to the residence was estimated at $40,000, Battalion Chief Todd Felgen said.